Patent Pending Medicated Version By "American Aquarium Products". 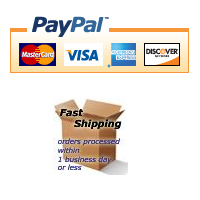 The original internet sellers of Wonder Shells with over 40 years experience using this product. Why buy from anyone else and then have inaccurate information or simply get the WRONG product or one that is NOT fresh? Wonder Shells loose their "charge" over time, and only AAP has fresh Wonder Shells purchased monthly. We do not just sell these; we also use these products personally. As well, it was our maintenance/research businesses (run by our founder Carl Strohmeyer) that tested, corrected dosing, found what they could and could not do and eventually through AAP, this regional product was made aware to the rest of the world by our founder. Regular AAP Wonder Shell (no medication)- Mineral Block. NEW 1 kg block for extra large aquarium systems and ponds! Useful for Important Mineralization/Electrolytes, Calcium Carbonate, Water Hardness Control, & more. Please scroll about 2/3 for information about "Medicated Wonder Shells"
OR to the bottom of the page to purchase. •	Contains Calcium Carbonate/CaCO3+ cations (a VERY important element for proper Osmotic Function in fish as well as Redox Balance™, more important to fish health than parameters such as exact pH!). ALL minor and trace elements in the exact ratio (with the exception of calcium) as found in the ocean. A few other elements found in minor & trace amounts include: Magnesium, Chloride, Sodium, Sulfate, Potassium, Bicarbonate, Bromide, Borate, Strontium, Fluoride. Based on our extensive experience with 1000s of aquarium in our decades of professional aquarium maintenance, the use of AAP Wonder Shells (often at only fractional doses) is superior to other methods of minor & trace element/GH maintenance including over SeaChem Equilibrium (which is still an excellent product, it simply does not provide the continuous mineral Cations to battle oxidative stress)! Calcium and magnesium have been proven to help fish (and humans) during stress and to help prevent disease due to acid buildup in the brain/body. Important for the prevention (& treatment) of Columnaris and Saprolegnia/Fish Fungus. These positive mineral ions play a part in prevention of Columnaris by lowering oxidative stress and improving osmoregulation. Can aid in prevention and treatment of Livebearers/Molly Disease such as "shimmies" and "wasting away" (not from Fish TB) whose general cause is the lack of these important elements. •	AAP Wonder Shells add Necessary Minerals/Electrolytes -very important whether your source is this product or another method. AAP Wonder Shells perform this by adding a constant supply of positive calcium and other positive mineral ions, which are depleted during Redox Balancing™ while lowering oxidative stress in fish (the picture to the right demonstrates how an AAP Wonder Shell lowers oxidative stress over just water changes). GH tests cannot discern the ion charge and may show high GH when in reality, these cations are depleted. As well, while a Redox Meter may not show a difference in some well balanced aquariums with natural Reducers present, the Wonder Shells can react much better to oxidizers that might become present than natural reducers (the Potassium Permanaganate test can verify this). For maintaining a higher pH or KH Wonder Shells should be combined with baking soda or better Sea Chem Buffers (or similar). Please note, Wonder Shells do NOT generally raise KH or pH, despite some incorrect claims by Weco and other websites that have not used these AAP Wonder Shells properly. They more aid in maintenance of these parameters by neutralizing harmful acids, which result from organic decomposition. •	Aids in Chlorine removal & helps keep aquarium clear. •	Aids in prevention of toxic ammonia buildup. •	Aids in prevention of HITH and HLLE (especially the 1 kg Block when used in large marine systems employing ozone). •	Especially useful for use with fish with higher mineral requirements such Goldfish, Livebearers, Cichlids, and more. •	These mineral blocks can help cure scoliosis in fish such as Guppys or even Bettas when lack of minerals is the cause. •	Regular Wonder Shells can also aid in prevention and even treat HITH by virtue of the necessary minerals found within these products. •	Each shell oxygenates, aerates and aids in neutralizing harmful acids resulting from normal bio processes. This makes the small Wonder Shell an Excellent Choice for Betta Bowls (especially when combined with Pillow Moss, Peat, Indian Almond Leaf Extracts, or Driftwood pieces). •	Also useful in Planted/Amazon River environment aquariums such as Discus and Ram Cichlids as well as Bettas for addition of positive mineral ions based on the proven fact of the need for calcium and other minerals for osmoregulation and Redox Balance™! Concerns raising GH with Discus, Angels, planted tanks, etc, is at times over-rated, as this does not take into consideration the fact that essential positive mineral ions can be depleted, while the GH still might test “high”. Reference: Depletion of Positive Ions. A test before and after can confirm correct dosing for fish such as Bettas, Discus, Angels, etc. Example; if the GH in your Betta tank is 200 before, and a few days later it is 225, this shows correct use (as you only want to see a slight increase to confirm ongoing mineral Cation replacement). However if the GH goes up considerably (such as to 300), then try a small size and confirm you are placing in a low flow area. With high mineral fish such as livebearers, African Cichlids, etc, even doubling GH should not be an issue. •	The mineral block dissolves approximately as trace elements are depleted in an aquarium or as the bio load dictates. Larger aquariums, those with high bio loads, or those low in trace elements will dissolve Wonder Shells at a higher rate until stable. Calcium (which is the carrier for the other elements) will not exceed safe levels as aquariums will precipitate out excess. GH readings will reflect this, however the GH will only show the overall hardness, not the balance of trace elements, so higher readings (over 200 ppm) are only reflecting excess calcium. •	IMPORTANT: Keep in mind, if your aquarium is low in electrolytes, the quick release of positive mineral ions can be stressful to many SE Asia and Amazon River fish such as Bettas, as well as many shrimp (such as Crystal Red Shrimp). If not used before, it is strongly advised to start with a 1/4 dose and then work up to a 1/2 dose or more. 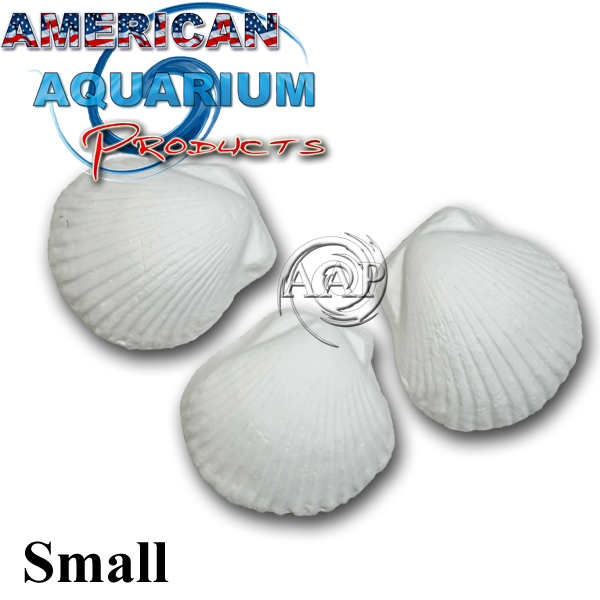 Example: a 1/4 Medium Wonder Shell or 1-2 small WS for a 10 gallon aquarium. 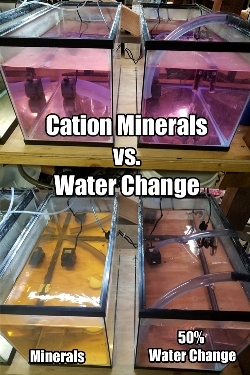 The sudden introduction of Wonder Shells in a low positive mineral ion aquarium is comparable to changing water in a tank with high nitrates or especially too low pH. The fish/invertebrates will need to be adjusted to the improved water quality or pH shock would follow from the water change!! •	Extremely useful in planted aquariums at maintaining hardness (and we mean GH, not KH as studies in photosynthesis prove) to counter act peak daytime photosynthesis. The AAP Wonder Shell is a CONSTANT GH supplement unlike other supplements for those using the EI method of dosing for planted aquariums! As well, AAP Wonder Shells are useful for other minerals required by plants. This said, if a planted aquarium GH booster are already being used daily, the AAP Wonder Shell would NOT be necessary. Aquarium Plants- Information and care. 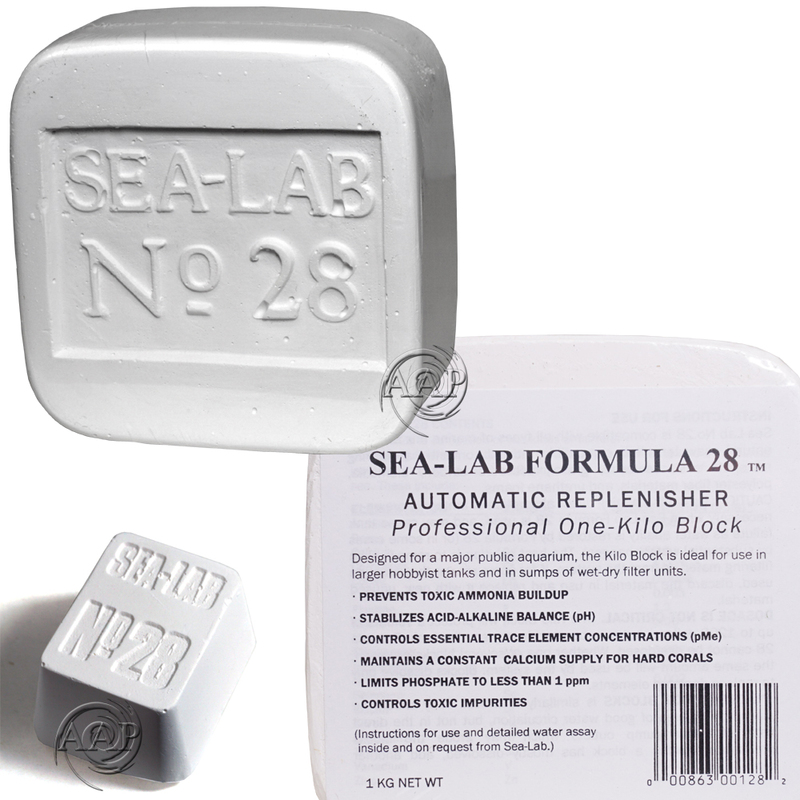 •	Can be used in marine aquariums, although better methods are available for reef aquariums in particular (such as with many SeaChem products). 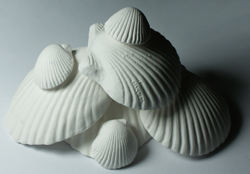 However, Wonder Shells are excellent for use in RO water storage to aid in re-mineralization prior to top off for evaporation or mixing in Reef or other saltwater aquariums. As well, for fish only or FOWLR marine tanks. They still can be useful for EVERYDAY mineral maintenance. •	Provides crabs, snails and turtles with an easily available source of bio available calcium for healthy shell growth. •	NOT a cure all for poor water management, but a useful tool in proper aquarium maintenance. This is an excellent product, but the name is misleading, as Wonder Shells do not perform “wonders”, it is just a useful. However not essential product with more than 30 years of aquarist use to back it up. A TOOL FOR A HEALTHY AQUARIUM WHICH MOST FRESHWATER AQUARISTS SHOULD NOT BE WITHOUT! •	NOT the same ingredients as Plaster of Paris. The Wonder Shell is vastly superior! •	Please follow the directions and use suggestions WE PROVIDE, as the packaging provided to us & then re-packaged still dates back to the 1970s are partly incorrect. Please also note that AAP rotates stock, so even though no "best used by date" is published, you can be assured you are getting a fresh product that can maintain its full mineral Cations for well over a year (unlike many sold via 3rd party sellers on Amazon or other discounters that sit on the shelf for years before being sold at clearance prices). These instructions are based on decades of experience as well as the unique ingredients we add. The Wonder Shells should be placed in an area with low water flow for best results. NOT in filters. They will dissolve approximately as needed for minerals/electrolytes and should be replaced when about ¼ original size. For aquariums set-up for fish, which come from bodies of water that tend to be more soft (these fish still need positive mineral electrolytes for osmoregulation and Redox Balance™). The basic principle is to have at least some Wonder Shell piece, fragment, etc. present, no matter how small just to be able to provide constant mineral Cations THAT ARE PRESENT EVEN IN THE MOST SOFT OF NATURAL BODIES OF WATER! 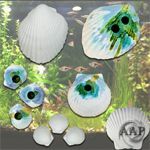 As a starting point, we recommend a 1/4 “dose” (recommended AAP Wonder Shells per tank size), or even just fragments added as they dissolve as noted earlier on this web page. For soft water or planted aquariums, the use of SeaChem Replenish for adding essential minerals when RO water is used, then the use of 1/4 the normal dose of Wonder Shells or fragments to aid in the constant supply of essential mineral cations is suggested. Simply replace at whatever dosage you are using within a few days of dissolving. Unlike with AAP Medicated Wonder Shells, water changes should not require the aquarium keeper to ad more assuming new water is of the desired chemistry for the aquarium biotope kept. Redox Information Research; Please note that the research into aquarium Redox balance has been ongoing by Carl Strohmeyer since the early 1990s, with more recent help and input by others. Use of this information to help sell the Wonder Shell or other products is given by permission only. SeaLab Blocks are a professionally proven and simple way to maintain trace elements as well as calcium in marine aquariums dating back to the early 1980s. 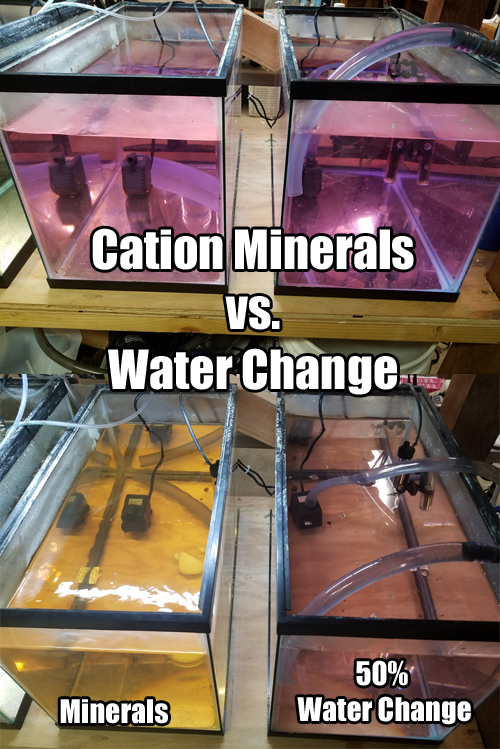 Sealab can also be used for high mineral/pH/alkalinity freshwater use, but for community freshwater aquariums, especially Amazon/Betta biotopes, the Sealab should NOT be used! ONLY available at AAP or other authorized retailers! A useful aquarium treatment/disease prevention to have on hand for any aquarist! An aquarium disease treatment with over 30 years of satisfied customers in both our pet store and professional aquarium maintenance route. NOT A CURE ALL or a replacement for antibiotic treatment for bacterial infections. For serious Ich infestations, we recommend SeaChem ParaGuard followed by these Medicated Wonder Shells for prevention/follow up treatment. 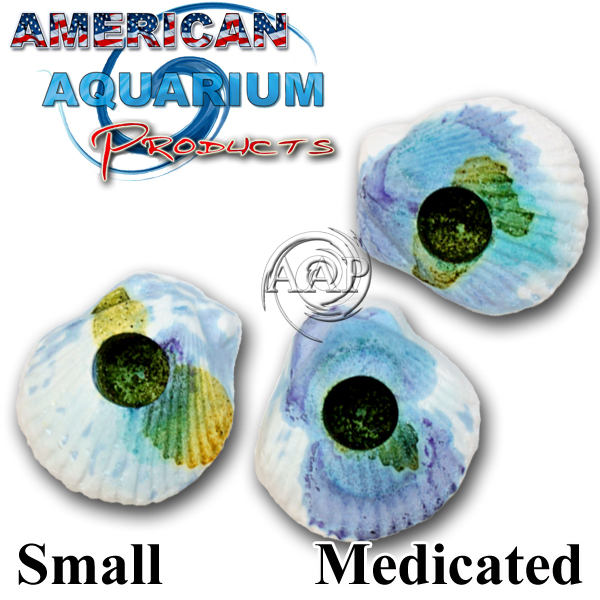 For a Medicated Wonder Shell with only buffered Malachite Green, consider our Marine Version, which are safe for use with even delicate plants and most shrimp, but are also less effective than the standard medicated version, and do not treat Velvet or Fungus. Medicated Wonder Shells are a unique product, which we have tested on our professional aquarium service (with 30 years experience) with excellent results. It helps oxygenate and add important minerals to your aquarium or small pond. In addition to that, it helps prevent and treat Ich (and other protozoan diseases), fungal, some bacterial diseases, even green water. This product has the advantage of a steady flow of medication unlike the spikes of medication in traditional treatments, which is easier on the fish. An excellent product for use with Gouramis, goldfish, livebearers, discus and more. As a preventative, we recommend adding a shell(s) when you add new fish. As a treatment, treat 2-3 weeks (and no longer). Add another shell when the first one is 2/3 dissolved (a partial water change at this time is recommended). HOWEVER, since this is a medicated product we do not recommend keeping a Medicated Wonder Shell in an aquarium past 3 weeks and we recommend a 3-4 week period between usages, (unlike the regular Wonder Shells which can and should be used continuously). Probably one of the most effective treatments for velvet available, as the copper sulfate and methylene blue not only kill the swimming stage (as in ich), but kill velvet (Piscinoodinium pillulare) in the dormant stage by destroying the chloroplasts. Medicated Wonder Shells when used in a display tank or a hospital tank treatment that is combined with BOTH Furan 2 and Kanaplex, can be a very strong treatment for fungus, many bacterial infections, and many external parasites while also supplying mineral Cations to aid in oxidative stress. Electrolytes in the wonder shell aids in osmoregulation. While the Calcium buffers the malachite green, which is more toxic at lower pH. Not recommended as a cure or treatment for true bacterial diseases, only as a preventative or for mildly damaged fins. Medicated Wonder Shells can be a great accompaniment to "out of tank" fish baths, fish food soaks for parasites and/or "white stringy poops", and more. There are years of professional aquarium maintenance use behind this product, with this experience the acknowledgement that Medicated Wonder Shells are excellent for prevention, follow up, and treatment for mild to moderate Ich and Fungus infection. HOWEVER, we recommend either AAP Super Ich Plus PREMIUM Ich Treatment or ParaGuard for serious infections and THEN use the Medicated WS for follow up (Medicated Wonder Shells are effective for serious Velvet infections though). * Do NOT dilute the aquarium bowl water by changing more than 10% water during treatment with a Medicated Wonder Shell, this only lowers effectiveness of the MWS. Unlike the regular AAP Wonder Shell, the Medicated version should always be used at full strength otherwise it will not be effective. 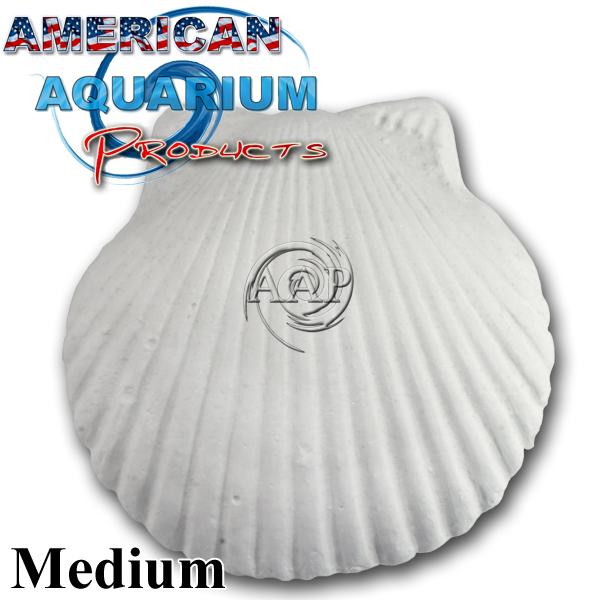 * We recommend the Medium wonder shell for 15 to 35 gallon aquariums and the large for 40 gallon or larger aquariums/ponds. Use one Large wonder shell per 40 -60 gallons of aquarium or pond water. With minumum aquarium sizes per shell, changing 20% of the water one hour later can help moderate the MWS. * Carbon or other chemical filtration generally should not be present when used as a treatment or strong preventative. * Carbon (& other chemical filtration such as Purigen, BioChem Zorb) may used when Medicated Wonder Shells are used as a MILD preventative however this lowers effectiveness considerably. * Use with other mechanical filter media is fine. * VERY SAFE for all fish when used as directed, however when combined with other treatments such as the earlier mentioned Furan 2 & Kanaplex, there are more inherent risks as with any strong combined treatment that is often needed for serious infections. * Generally safe for use with hardy snails (not sensitive invertebrates) and hardy plants such as Anubias and Java Fern (as copper levels are generally below .05). With normal use, plants will generally burn back, then these plants will generally "bounce" back if not used long term. However we do not recommend their use for minimum size aquariums with low mineral content with any snail (an example is if you used a Medium Medicated Wonder Shell in a 20 gallon aquarium with low mineral content, this would be a potential result. However this same size Wonder Shell in a 35 gallon aquarium with high mineral content would likely not have this result). Can be used in freshwater where only Malachite Green is desired (not as effective though-especially for fungus). 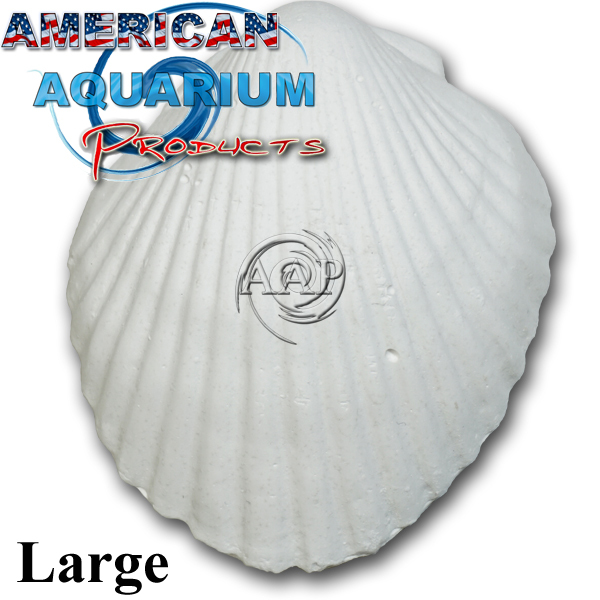 •	One shell per 40 -70 gallon aquarium. They are not as strong as the freshwater wonder shell, as the marine shell is lacking a few ingredients, which are effective on ich, but hard on invertebrates. The marine wonder shells do work though and are safe for most invertebrates (careful with Cephalopods). We recommend that you follow a few other steps for marine Ich. (2) If at all possible move the fish to a bare hospital tank and treat with copper as well (often not possible).